For Hackintosh builds you have several Wireless networking options. 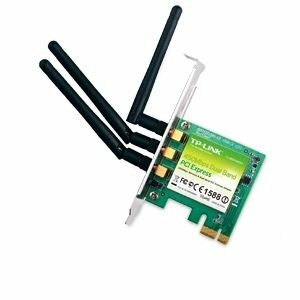 While this card costs more compared to the mini PCIe adapter method (that sometimes requires device id tinkering with the cheapest 3rd party wifi boards), it requires no extra drivers and works out of box in both OS X 10.7 Lion and 10.8 Mountain Lion. Not happy with your Hackintosh’s ethernet speeds? Tired of wake/sleep issues with Realtek drivers? 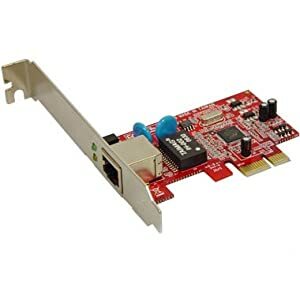 How about a natively supported PCIe card that works OOB with OS X Lion and up? Please welcome the Koutech Gigabit Ethernet PCI Express (x1) Card. It uses the same Marvell Yukon chipset that Apple has used with some of their hardware, so it doesn’t need any additional drivers. I was able to get up to 85mbyte/sec transfer rates with my Time Capsule. The card is currently on a $27.99 sale on Amazon!